Recent surveys on healthcare analytics provide encouraging news about the increase in adoption rates for analytics. However, they indicate some headwinds as well that are likely to impact adoption rates. Healthcare analytics has tremendous potential. The market has been estimated to be over 20 billion by the year 2020 according to industry research firms ( Market and Markets , iQ4i), and the promise of improved population health, reduced healthcare costs, and patient safety seems very attractive. A recent survey on healthcare analytics by CDW indicated that over two-thirds of healthcare decision makers considered analytics among their top 3 priorities, with rising costs of healthcare being the biggest motivating factor. The report highlighted that 82 percent of the respondents saw improved patient care, with 63 percent seeing reduced readmission rates. A separate study by HIMSS and Jvion, specifically on the use of predictive models in healthcare, indicated that readmissions, along with sepsis, were the top use cases for predictive modeling. Although the overall news was encouraging in terms of the increase in adoption rates for analytics, the studies highlighted some disturbing negative trends as well. Both studies indicated that adoption levels for analytics varied widely, with the larger hospitals showing greater adoption and corresponding benefits. The Jvion study’s highlight was that a large majority (85 percent) of the respondents were NOT using predictive modeling techniques. A caveat for any analysis of the findings of such reports is that there may not be common definitions. The term analytics could refer to anything from infrastructure to reporting to predictive modeling, and to that extent, one needs to be circumspect about arriving at common conclusions. Having said that, it is worthwhile to look at factors that these reports highlight that could be impacting the adoption rate in healthcare analytics today. Data integration challenges: Multiple studies have highlighted this to be the No. 1 challenge in the adoption of analytics. Without access to unified datasets, the ability to derive analytical value from the data is severely constrained. The CDW study highlights interoperability between technologies as one of the major factors impacting the adoption of analytics. Interoperability remains one of the healthcare sector’s top technology issues, if not the top one today. There is a whole separate debate under way about the usability of electronic health record (EHR) systems and data errors that I will not go into here, however it may well be that adoption levels for analytics are directly impacted by this issue. Interestingly, the CDW survey responses indicate that Medicare/Medicaid EHR incentive is the No. 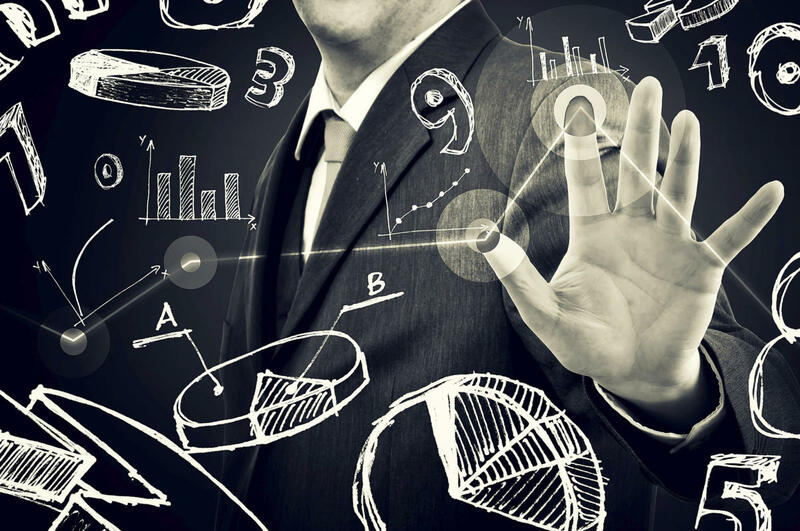 2 factor motivating the use of analytics – once again, raising questions about the definition of analytics in these organizations. Data breaches and data security: While this may be a lesser factor when healthcare enterprises are analyzing their own data within their firewalls, it does become a consideration when data has to be transferred to external environments such as the cloud. Recent high profile data breaches at Premera and Anthem have raised anxiety levels about data security in general. 2015 is being labeled the year of the healthcare hack and this may be a headwind for analytics adoption, or at least for certain types of analytics solution models. Data sciences talent: A year ago, the looming shortage of data scientists seemed to be a prophesy that was bound to come true. This was based on the notion that data scientists – people with a unique combination of statistics training, technology skills, and data knowledge – would be required in large numbers for the promise of analytics to be fulfilled. The chatter has died down recently, so maybe there wasn’t a shortage after all, or enterprises have found creative solutions to address these skill gaps. Regardless, competition for talent is likely to be robust for people with experience in healthcare data and analytics, and the CDW study mentions that 37 percent of the respondents indicated a lack of qualified staff as a factor in adoption rates. Low current levels of analytics investments: Forget Hadoop, big data and all of that. Compared to sectors like retail, healthcare deals in relatively small data at this point, notwithstanding the impending deluge of data from the Internet of Things (IoT), and the like. Maybe that explains why the CDW study mentions that 65 percent of the respondents intended to “increase” their investments to an average of $1.9 million, and most of this seemed to be earmarked for infrastructure improvements such as data capture, storage and processing capability. This would also seem to be consistent with the Jvion study’s findings that the vast majority of respondents do not use advanced predictive modeling techniques. In any case, $1.9 million of investment seems like a low number, even after adjusting for the lagging organizations in the survey, and does not instinctively reconcile with a market size of 20 billion for healthcare analytics – once again, it may be an issue of definitions. With these levels of investments, it would seem that analytics is almost laboratory-scale in its scope relative to more mature sectors like retail and banking. Even if we were to consider the average to be non-indicative of spending levels by the leaders in the survey responses, the order of magnitude of investment in analytics may be the biggest challenge for the growth of analytics in healthcare. An interesting data point would have been the ROI achieved/expected from analytics investments, and how they compare to other investment options at the enterprise level. The most encouraging finding from these surveys is that analytics, defined in any manner, is a top priority for healthcare today. The coming years promise to be very exciting for professionals committing themselves to this space.